We create lasting birthday party memories for the child and the parent by providing outstanding hands-on customer care and guaranteeing a hassle-free experience every step of the way! Learn how to have the best birthday party ever at Jump A Roos! Kids love the fun & parents and guests love the convenience. Food, decorations, entertainment and more are included. We have party packages that start from just 10 kids & we can accommodate private events of more than 150 guests. 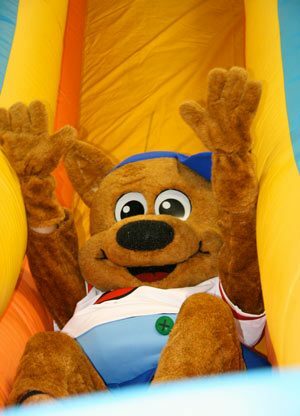 Party prices start at $200 and we offer special pricing M-F.
Jump A Roos welcomes open play during our operating hours. We offer general entry passes as well as discounted memberships. Admission is only $10.98 per child 3 and over and only $6.99 for kids 2 and under. Our Tuesday pricing is ONLY $6.99 per child over 3 and $5 for children under 3. *Note Tuesday pricing is for families of 5 or less. Not valid for groups. Pictures may be worth a thousand words, but experiences are worth one million! These photos show some of the great fun the whole family can have at Jump A Roos! Be it a birthday party or just a day of play we look forward to you sharing your children’s fun time, love and happiness here at Jump A Roos. 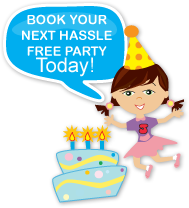 Click button to book your next party today or click on the banner below to lean more about our amazing birthday parties. If you want to speak with us directly please call 305.238.5867 and ask for a Party Specialist. It is our mission at Jump A Roos to provide a safe, friendly, clean and interactive place for families to come together, have fun and enjoy special memories. We attempt to accomplish this by going above & beyond our guests’ expectations, caring and having pride in being the very best at what we do, all the time!